Fourteen years ago or so, I worked at a rubber stamp store named Stamp Cabana. It was one of the most fulfilling jobs I've ever had. I LOVED working there. While there, I really pushed for them to start carrying scrapbook stuff, but they didn't want to become a scrapbook store. However, there were a lot of crossover type products, like tools and paper, so they allowed me to teach scrapbook classes. 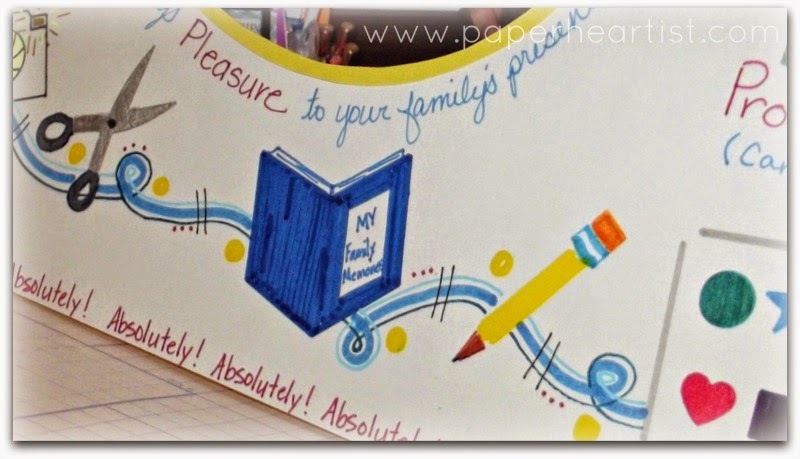 I taught a beginning class, punch art, creative lettering, memorabilia, stamping in scrapbooks and more. 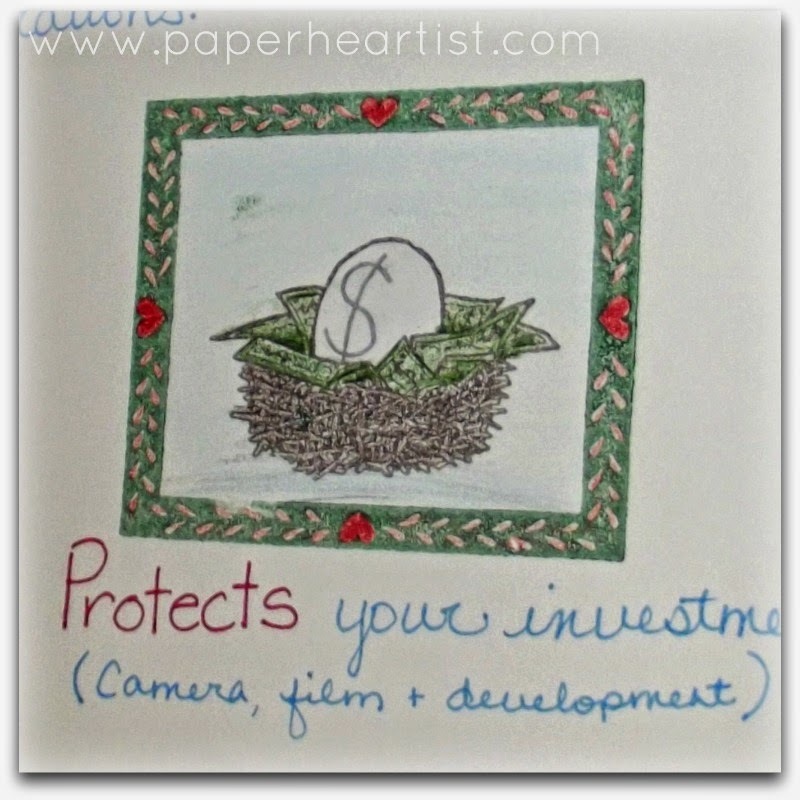 The previous page says "Scrapbooking". 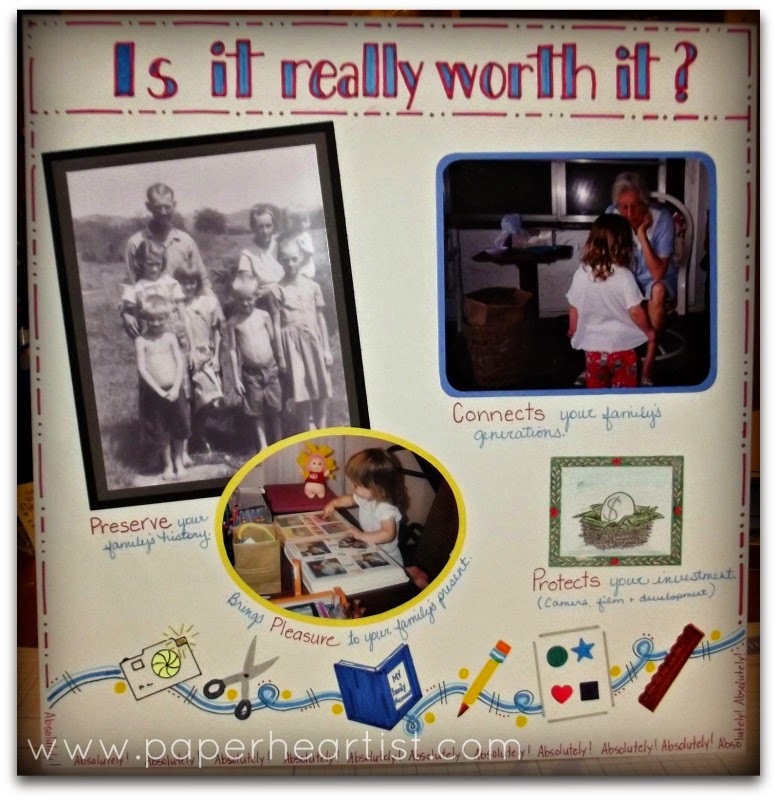 This page asks, "Is it worth it?" Of course, I'd say ABSOLUTELY! Hannah is showing her great grandmother her shirt. This photo means more to me today than it did then, because my grandmother passed away in 2006. I find this part amusing now, because of the word "film"...remember the days of film and developing? I also can't help but think, "Investment? What about the investment in paper, stamps, stickers, ink, embellishments, pens, scissors, etc.?" Now there's some money! Remember template rulers? That's how I created the border along the bottom. Kind of miss the excuse to use markers and coloring. Awesome going down memory lane. Your daughter is so cute and I love the fun page you created all those years ago. What a sweet memory these photos are. I was just thinking on my ride home yesterday how I really need to pull out my first scrapbook from when I was like 16. 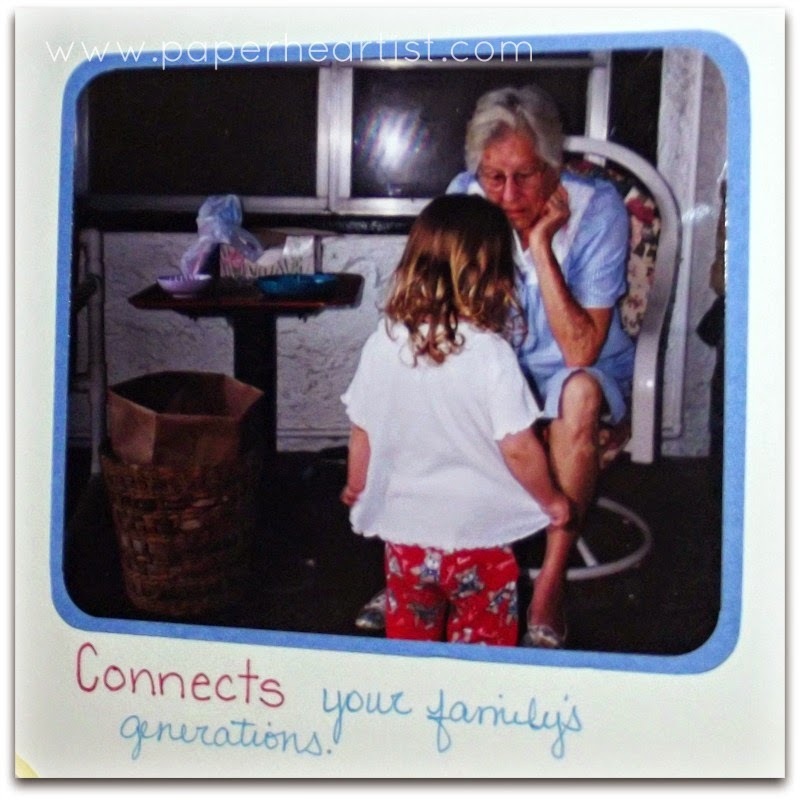 I didn't know then that I would some day become a scrapbook consultant and teach others what I love to do. Preserving those memories is something that I cherish and I know my family loves to look through their albums. :) Thanks for sharing this awesome post.